Today Asus has started sending out an update to Android 8.1 Oreo to the Zenfone 3 Max ZC553KL. This particular model launched in November of 2016, so it's good to see that the Taiwanese company hasn't forgotten about it, software-wise. The Zenfone 3 Max initially ran Android 6.0.1 Marshmallow, then got updated to Nougat, and now it's time for it to jump straight to 8.1. 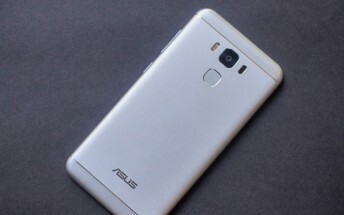 It might in fact be the first Asus smartphone to receive this specific version of the OS. Other members of the Zenfone 3 line have gotten 8.0. The new version is 15.0200.1807.406. Aside from packing all the goodies that Google's built into Oreo, you will also get Asus' latest coat of paint on top of that - a.k.a. ZenUI 5.0. It should take around a week for the over-the-air rollout to reach every single Zenfone 3 Max ZC553KL device out there, so don't panic if you haven't seen the notification just yet.